That flavor wheel there on the right has cider-specific terms like tannic and acidic (and also "sweet," the third of the holy trinity, though sweetness is obviously not unique to cider). If you've ever had an English or French farmhouse cider you know tannins; if you've dabbled in the lambiclike Basque ciders, you know acid. (Boy, do you know acid.) This will be a handy reminder to observe the structure of cider as you taste it. The second cool feature is to the left of the wheel (you can see it if you click on the pic): the "bubble meter." 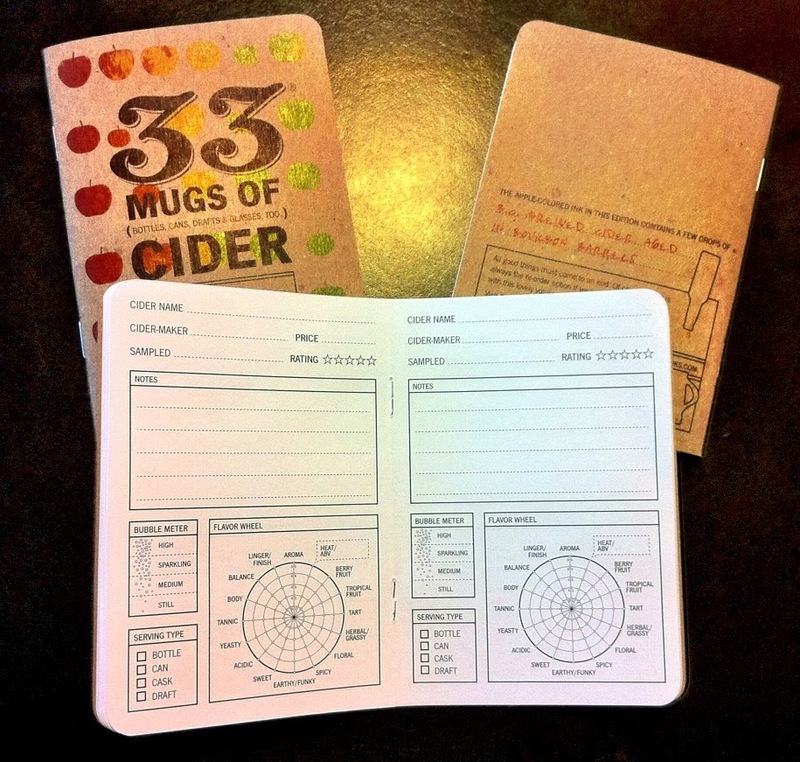 This is a clever way of illustrating another important dimension to cider. They may be wholly still, like most wines, or as bubbly as champagne. Since a lot of beery types are checking out ciders, this is a good reminder that not all ciders have those 2.5 volumes of beer you're used to encountering. You can pick up copies at the website. Bonus. As with most of these (solid-product cigars a notable exception), Dave added a bit of cider to his ink, so if you're really desperate, give it a lick. Update, May 23, 2014. 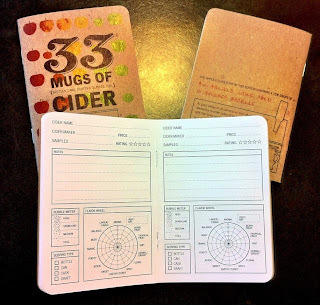 I carried these books around with me on my travels as I did research for Cider Made Simple, and they were a huge asset in keeping track of what I'd tasted.